Hungarian political economist; born Dec. 2, 1868, at Csecse, Hungary; studied law in Budapest. In 1890 he attracted general attention by his essay "Gabona Határidöüzlet," on buying grain on margin, which was crowned by the Hungarian Academy of Sciences. In 1893 he was elected member of the academy's commission of political economy. In 1896 he Magyarized his name, changing it to "Pap." 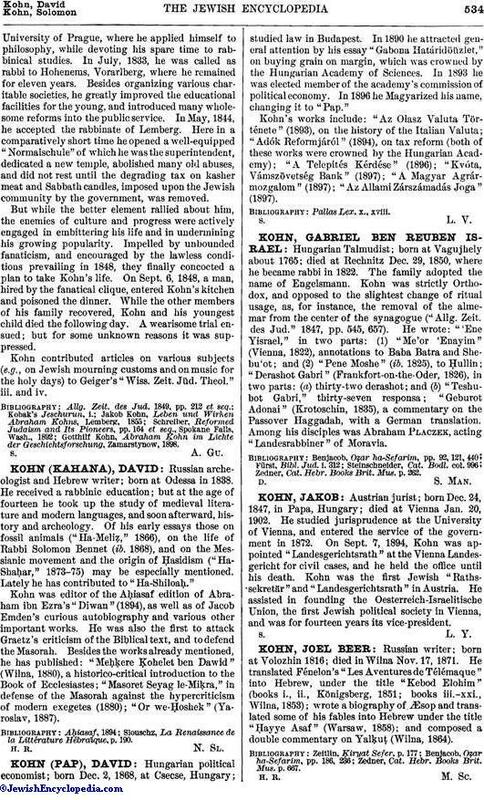 Kohn's works include: "Az Olasz Valuta Története" (1893), on the history of the Italian Valuta; "Adók Reformjáról" (1894), on tax reform (both of these works were crowned by the Hungarian Academy); "A Telepités Kérdése" (1896); "Kvóta, Vámszövetség Bank" (1897); "A Magyar Agrármozgalom" (1897); "Az Allami Zárszámadás Joga" (1897).